Due to other commitments it will be swim only on Sunday. See you there. Training starts back this week. It will be a swim only session. With this being the start of the new triathlon season membership needs to be renewed. We will have data collection forms with us on Sunday for parents to complete. This is for our records only. 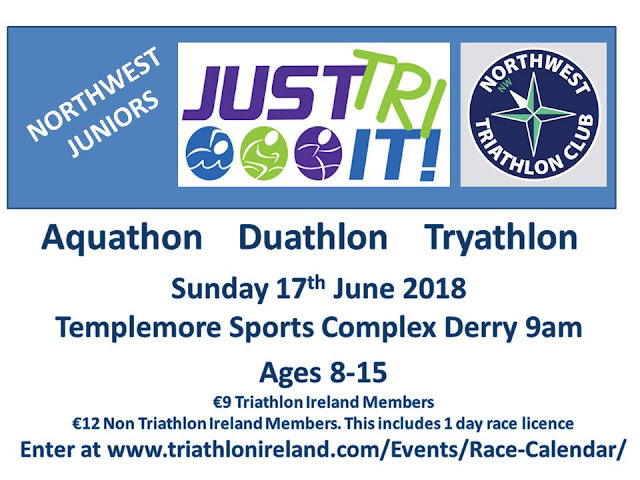 You will need to go to the Triathlon Ireland site to register with the club and Triathlon Ireland. You MUST register with both. See you all on Sunday. Any questions about membership can be answered then. Sunday Training will swimming and some indoor running (fun as usual). See you all there.